On February 9, IGNITE will host their 2019 Young Women Run Atlanta conference at Agnes Scott College. Congresswoman Lucy McBath, of Georgia’s 6th congressional district, will be the keynote speaker at the half-day event, along with guest speakers and state House Representatives Brenda Lopez and Park Cannon. IGNITE is a national nonpartisan organization that works to encourage women to engage in politics and run for office. Their K-12 curriculum teaches young girls the inner workings of government and why it is important to be politically involved. 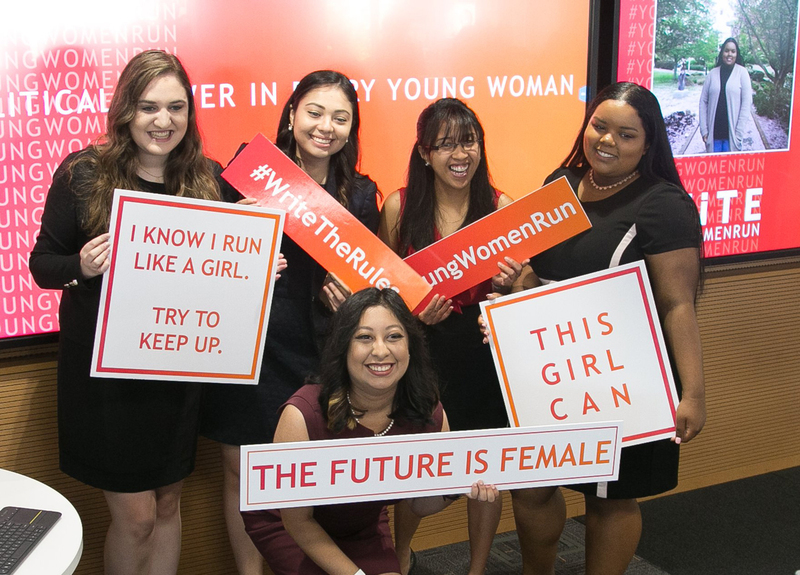 Collegiate chapters, of which Georgia has six, offer women the opportunity to connect with elected officials and other political leaders who act as mentors and role models. By creating seats at traditionally male-dominated tables, the organization stresses the importance of diversity in politics. Members are encouraged to pick a particular issue they’re passionate about, and IGNITE equips them with tools and resources to be advocates for that issue, such as connecting them to specific political leaders. The event at Agnes Scott will start with a panel discussion between political campaign professionals including Ariel Shaw, cofounder of AS Consulting, LLC. ; Adrienne White, vice president of strategy and business development at Citizens Trust Bank; political strategist Pallavi Purkayastha, and more. Two breakout sessions geared toward leadership and immigration policy will follow the panel. Attendees will also have the chance to chat with about 10 to 15 local elected officials during lunch later that afternoon. Atlanta City Council president Felicia Moore and state senator Nikema Williams are also on the guest list. “There’s this larger landscape and cultural shift we have to make to tell girls that they can be political leaders,” Guillermo says. IGNITE’s Atlanta fellow Kirsten Jackson, a senior at Agnes Scott, acts as a liaison between IGNITE and its local college chapters. Jackson says she knew she wanted to be a political science major but she didn’t have a way to network and get involved in politics. IGNITE has allowed her to host voter registration drives, election watch parties, and “build a culture” of political activism on her campus she says was not present before. And while the conference’s main focus is on achieving political goals, Guillermo says that ultimately, IGNITE wants to spark passion. “This work is real hard, and it’s always better when you’ve got a good squad and girl gang with you,” Guillermo says.